From George Nelson's ground breaking 1948 group of designs for Herman Miller that put the company firmly in the ranks of post war modernism. Nelson's desk was decidedly futuristic, with the floating cabinet above the desktop, containing numerous shelves, dividers, and drawers behind leather clad sliding doors. 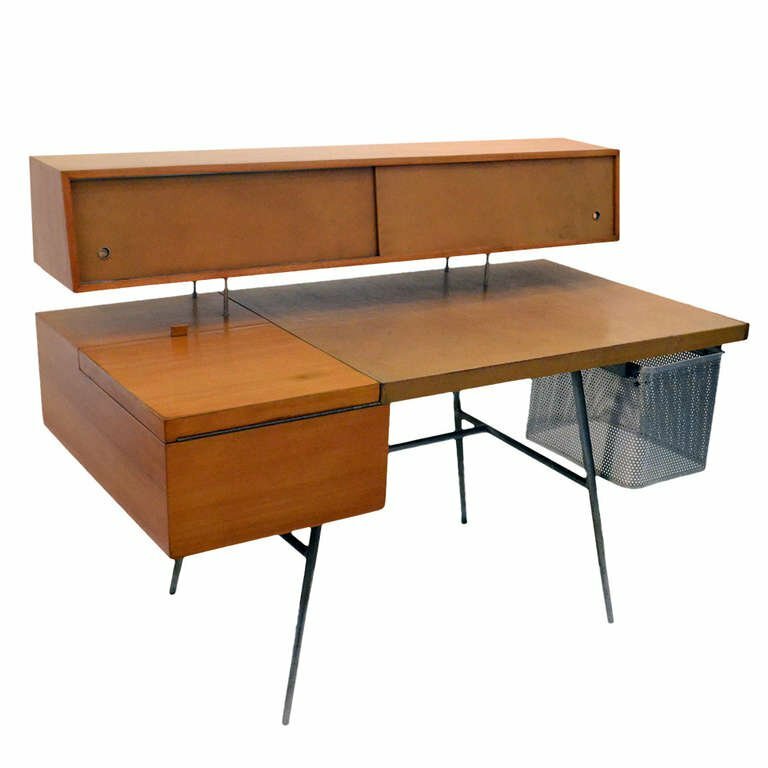 The work surface is also in leather, and features a flip up compartment meant to house a mounted typewriter, and further storage options. To the right is the perforated steel file basket.